NHL defenceman also known for having been the captain of the Swiss national hockey team. He was the cover player for the Swiss version of the "NHL" series of video games from 2008-2010. 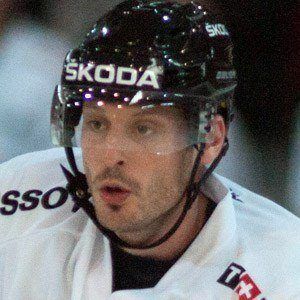 He began playing for professional Swiss hockey team HC Fribourg-Gotteron at eighteen. He played in ten consecutive World Championships with Switzerland beginning in 1998. He and his father would wake up early to watch hockey games while he was growing up. He and Roger Federer became two of the highest-paid Swiss athletes in the world.